Looking forward to seeing further development of bilateral trade and investment collaboration between two nations. Britain’s largest business delegation recently visited Xi’an, one of the oldest cities in northwestern China and the capital city of Shanxi Province, to attend the Silk Road International Fair (SRIE). 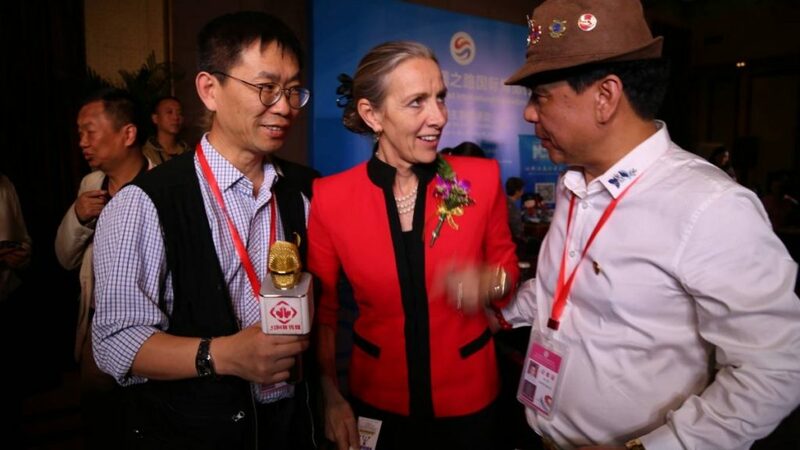 They were led by Rona Fairhead, a Minister of State for Trade and Export Promotion in the UK Department of International Trade. On the first day of the Silk Expo, the UK and China both sides have reached a series of agreements and memorandum of understanding to intensify cultural and trade exchanges between the two countries. Baroness Fairhead has met with the President of Shanxi Provincial Mr Liu Guozhong, to discuss growing relationships between the UK and Shanxi province. They both agreed that the UK and Shanxi have carried out significant developments in agriculture, advanced manufacturing and technology, intellectual property rights, health care, life sciences, culture, creativity, and education etc. For example, the UK National Museum of Liverpool currently is hosting an exhibition titled “China’s First Emperor Qin Shi Huang and the Terracotta Warriors”. The exhibition has promoted close ties in culture field of two countries. Shanxi Provincial Cultural Relics Bureau and Shanxi History Museum worked together with Liverpool to organize this successful exhibition. Now Britain is looking forward to seeing further development of bilateral trade and investment collaboration with Chinese partners. Baroness also witnessed the three agreements signed by the representatives of both parties. The Shanxi Provincial Museum Association and the British International Heritage Conservation Society signed a memorandum of understanding on cultural relic’s cooperation, to promote the exchange of knowledge between China and the UK in cultural heritage protection. The UK Loughborough College have signed an agreement with Dongguan universities and colleges worth over 1 million pounds to support and enhance apprenticeship training and vocational education in China. New District of Xixian based, Qinhan New City Shengbohui Culture Limited Co UK Company Nyce have signed a strategic cooperation memorandum of understanding which worth £1.5 million. Both companies will work together on the performance, promotion, ticketing and other related matters of the multimedia sound and light musical play “The Boy, the Robot, and the Terra Cotta Warriors”. Nyce will be responsible for the three performances in the UK.